If you’ve been putting off getting your finances in order because the economic situation has been relatively stable recently, it might be time to re-think your approach as fund managers are warning that the next economic crisis is looming – and it’s going to be “ugly”. The U.S. is now sitting at the peak of the economic cycle, which means there’s nowhere to go from here but down, according to several economists and money managers. Yahoo! 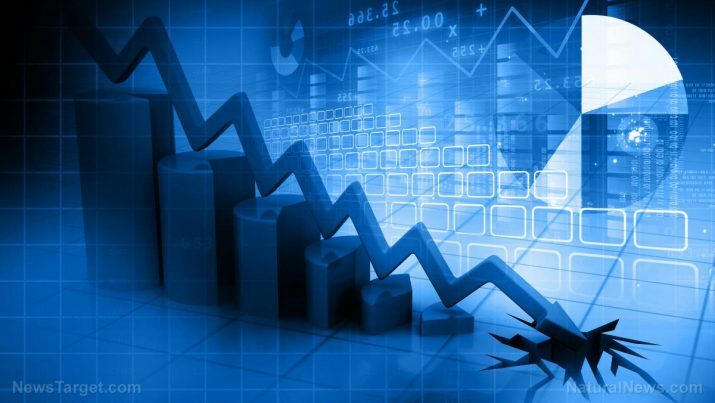 Finance reports that the Federal Reserve could be to blame for the coming downturn as new Chair Jerome Powell leads them into raising interest rates back up from the zero levels they hovered around for a decade. Leaving interest rates at zero indefinitely isn’t necessarily ideal, but the rise is expected to have negative repercussions. Goldman Sachs Asset Management Chief Investment Officer Jonathan Beinner said: “When the music stops, I do think it’s going to be pretty ugly.” He points to rising global debt – some $237 trillion and counting – and the way the debt is dispersed as putting the economic future in danger. Investment managers, private equity and hedge funds are holding most of the debt, he said, and he also expressed concerns about the fact that ratings agencies have been too generous in appraisals, giving high-debt firms investment-grade ratings. Overall, he sees a lot of similarities between the current situation and the climate ahead of the worldwide financial crisis that struck in 2008. Making matters worse is the fact that the difference between the yields on U.S. Treasury two-year and ten-year notes recently fell to its lowest level since the crisis of 2008; an all-out yield curve inversion has been a historical precursor to a recession. The first thing you should do – if you haven’t already done so – is pay off your debts. When interest rates go up, you’ll find yourself paying higher interest on loans with changing rates, such as credit cards, so try to pay them off now and stop using them. This will help you lower your monthly financial obligations and set you on the path to being able to build up a nest egg faster. Experts also recommend putting an emergency savings account into place. The standard advice of saving for six to 12 months of expenses may be out of reach, but save as much as you can and consider options like Roth IRA savings. On top of that, it’s time to make a budget, start managing your bills better and reviewing your accounts, and take advantage of your non-cash assets like gift cards and frequent flyer miles. You might even consider finding ways to earn some extra cash. Although it might not come close to your work salary, having cash on hand could prove invaluable, so consider freelancing, selling unwanted goods online, or teaching a skill like an instrument or foreign language on the side for extra cash. Most of all, however, you need to be sure you’re ready for the overall collapse that could come about after a financial and economic collapse, like what happened in Venezuela. What would you do if it became impossible to get your hands on basic necessities like medicine and food? That’s why the website SHTF Plan suggests getting a preparedness plan in place now and stockpiling the items you’d need in such a scenario well in advance as it will be a lot more difficult to do as more and more people realize just how ugly things could get.